My daughter just turned 4 years old and so over the next year we’ll be focusing on practicing skills that will help her to be ready for Kindergarten while we do crafts together. 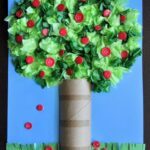 This Apple Tree Craft is so simple and incorporates practicing lots of those skills so it is perfect for preschoolers. 1. 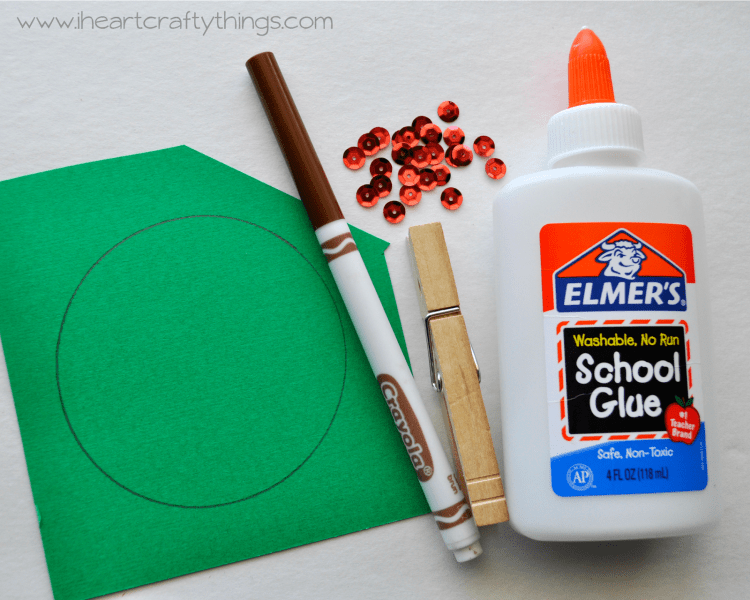 Start by using your cup and pencil to trace a circle on your green cardstock paper. Have your preschooler cut out the circle. 2. 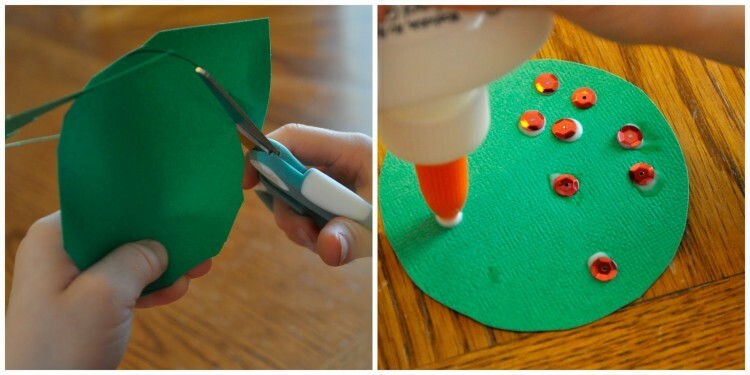 Put dots of glue on your green circle and add red sequins for apples. Set it aside to dry. 3. 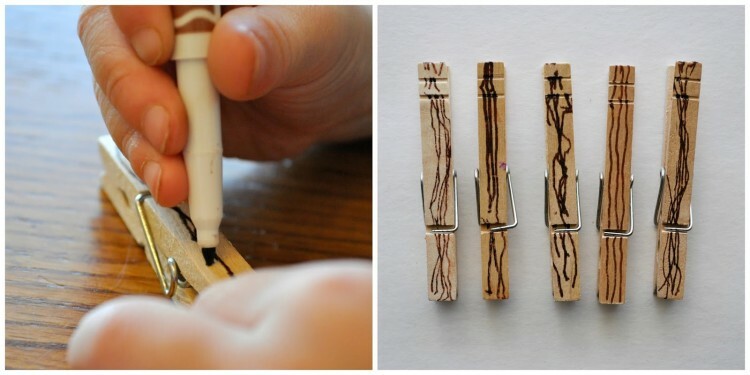 While your glue is drying, get out your brown marker and clothespin and draw lines down your clothespin to give your apple tree trunk some texture. We made several trees to use for another activity so my daughter drew lines on lots of clothespins. 4. 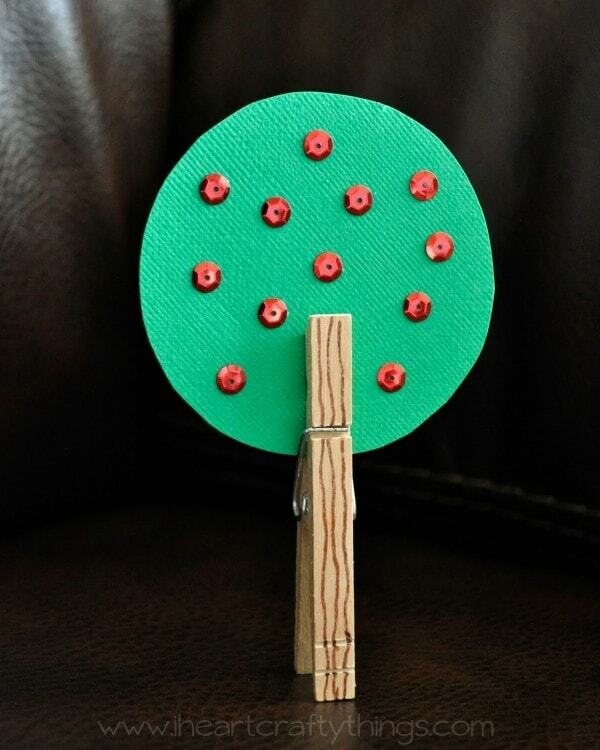 Once the glue is dry on your sequins, pinch open your clothespin and attach it to your green circle. 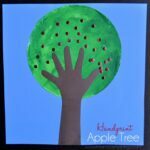 You are left with an adorable apple tree! 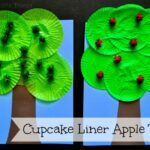 Not only is this a cute and simple apple tree craft, but it also gives your preschooler practice cutting out circles, practice drawing lines for early writing skills, practice making small glue dots instead of big gobs of glue, and it also incorporates using fine motor skills. I love this idea!! 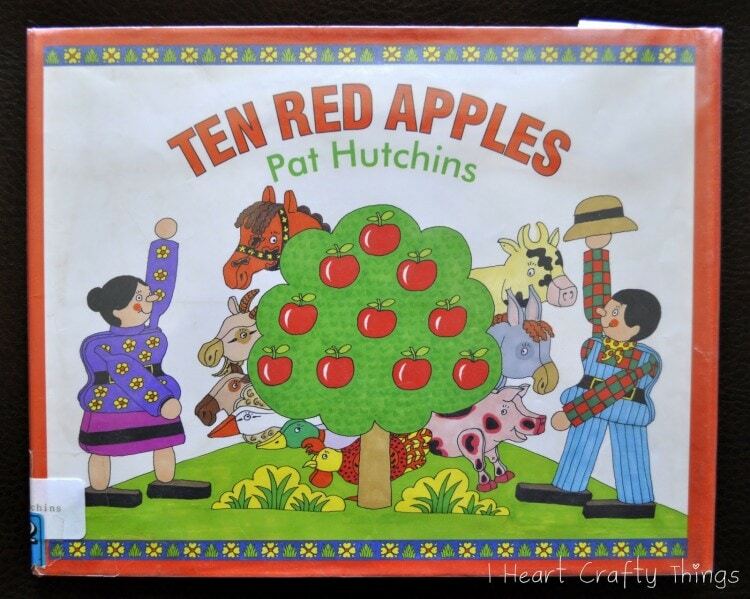 We may have to make some after Hazel's field trip on Wednesday–apple picking! Thank you for sharing at Sharing Saturday!! 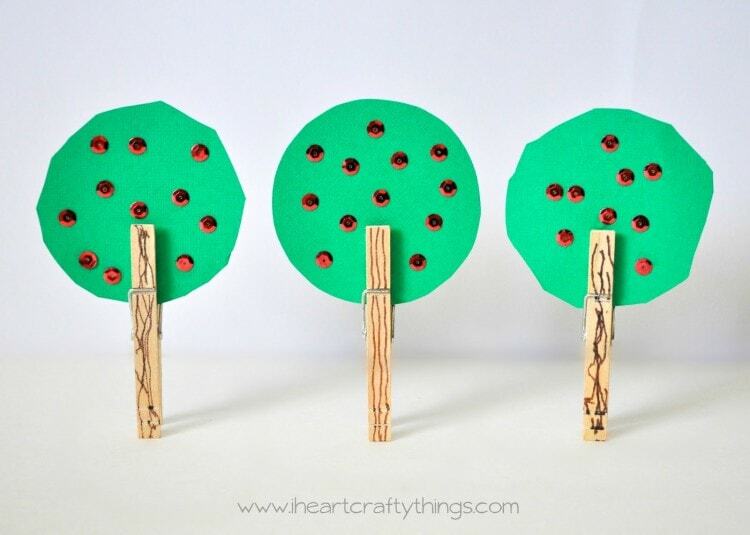 Stopping by from Crafty Moms Share after seeing your adorable clothespin trees! 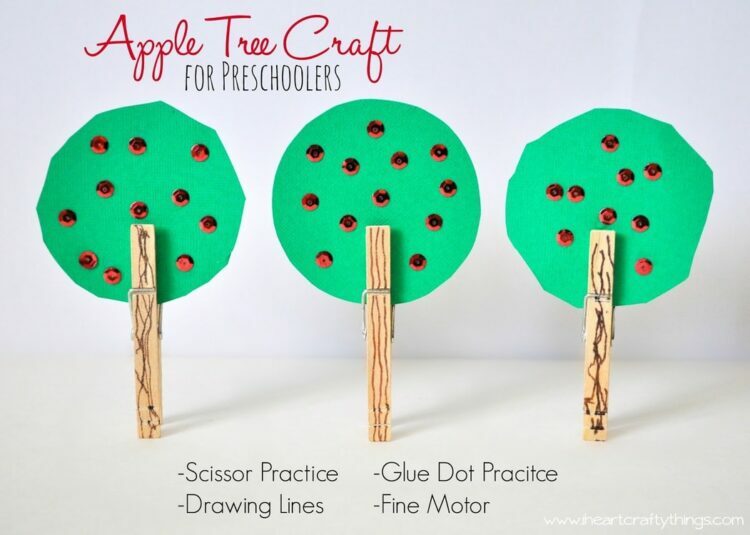 I love them and can't wait to try with my preschooler!